These are the words spoken by a news commentator after justice had been served on Nazi SS Obersturmbannführer (lieutenant colonel) Adolf Eichmann in 1962. The political commentator at the time, Hannah Arendt spoke about the “banality of evil,” as she witnessed the trail of the man who had been involved in the Final Solution. Yet these words, spoken by a news commentator are still relevant today and apply to those who seek to hate others by virtue of the God that they worship and by the religious activities that they undertake. The ‘madness’ that was being referred to was the genocide of Jews, Roma/Sinti and many other groups during the implementation of the Final Solution. These words are still relevant today and demonstrate why we must remain strong and vigilant against those who dehumanise others on the basis of their features, their skin colour or the manner in which they worship God. 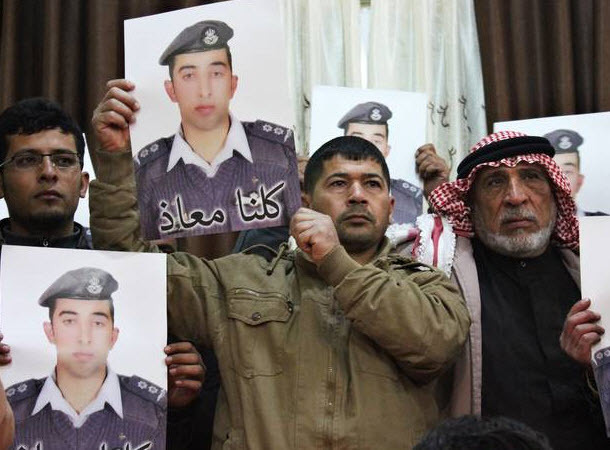 Pictures of the murder of the Jordanian pilot Mu’uath Al-Kasaesbeh show the absolute horror and brutality of IS and the young men in the group who have become so brutalised that they are willing to stand by and watch another man being burnt to death, without even an ounce of humanity in their body language. 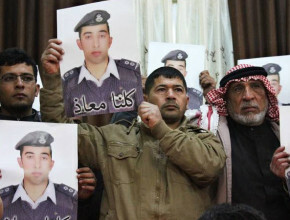 It seems that Mu’uath’s fate was sadly determined over a month ago according to the Jordanian Government. They suggest that he was murdered around the 3rd of January and that the discussions and negotiations were a way of stringing along both the Jordanian and the Japanese Governments. What is clear is that IS never really wanted to return the hostages and they were to be used to promote terror through beheading videos and through what is a gruesome video of a man being burnt alive. The strategy was and is to use hostages to show the cold clinical merciless nature of the group and to instil fear in audiences who see and who come to hear about the murders. There is also one other potential reason for the actions of IS. Pro IS, Al Qaeda and Jabhat Al-Nusra accounts regularly show Arab royal families lapping up their life of luxuries. Pictures of the Jordanian King regularly are tweeted out with one recently showing a bloated regent on a boat drinking what seems to be a bottle of beer, (though this could have been photo-shopped). It seems that Jordan has fast become the target for Jihadi groups who want to overturn the monarchy and to get their hands of the reigns of power in Jordan. So, the cat and mouse strategy of trying to negotiate and build public expectations in Jordan of an imminent release may have been calculating ways of trying to cause insurrection in Jordan as emotions ran very high. Whatever the case, IS have reached new depths that many thought that they could not.